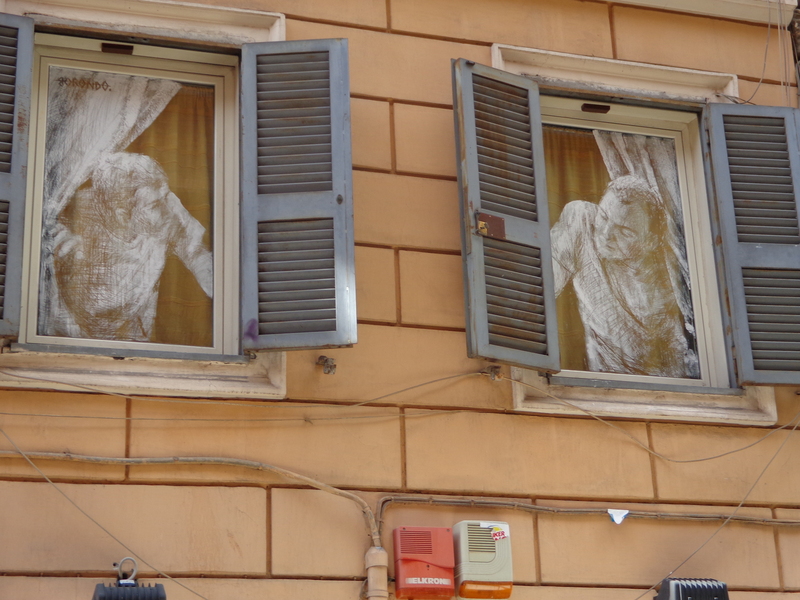 Shades of yesterday still conversing today–seen in some windows as I explored Rome’s back streets. Sunday afternoon in Rome is a bustle of activity. 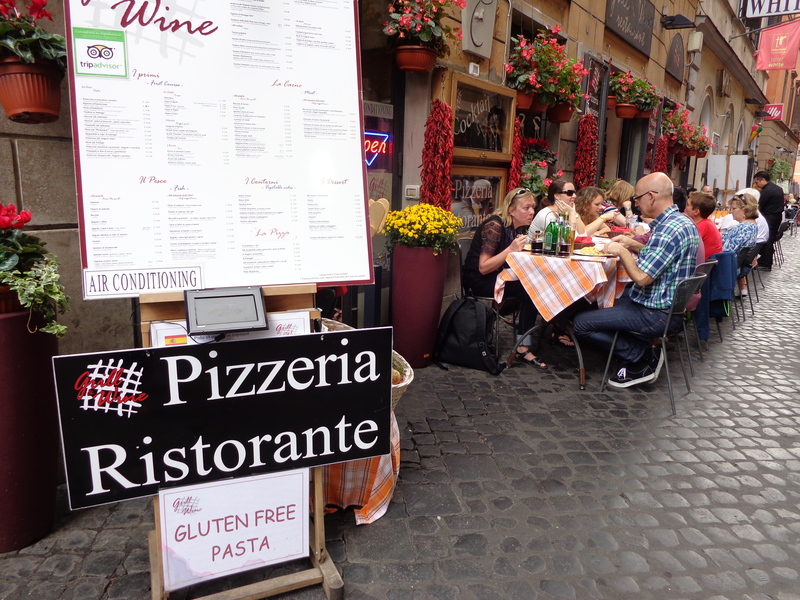 Families, friends, tourists, and every conceivable group of people can be found roaming the cobbled streets and piazzas in search of good food, shopping, museums, fountains, or just enjoying the presence of good company. In the rush of activity I found it so easy to miss my surroundings and the intriguing sites that Rome has to offer. Last September, as the days began to stretch into October, I found myself rambling away from the old familiar piazzas and landmarks. The bustling crowds had enveloped me and, like a river, taken me away with them in their enthusiastic and lively banter. It was all nice, but I needed a refresher. Moving away from the crowds was the perfect solution to really see some of the easily missed charms of Rome. Outside restaurant menus flourished everywhere with a list of mouth-watering meals, often accompanied by photos. This pizzeria offered gluten-free pasta which was the first I had seen it advertised here. The outdoor seating and ambience of the ancient surroundings was very charming. Combined with a delicious plate of pesto pasta and a good local red wine, it was the perfect recipe for a leisurely meal that could easily have lasted late into the afternoon. A turn down this momentarily vacant street was a nice break from the maddening crowds. Hemmed in by cars and tall buildings, I could see greenery on the rooftops and beyond to distant hills. Voices from open windows that I passed brought up visions of sumptuous Sunday repasts leisurely shared with families and friends. Geraniums, flowers and vines embellished this doorway in the most attractive manner, the results of a generous green thumb. What a burst of pleasure it offered to those passing by with its ambrosial display of vibrant whites, purples, reds and greens. Someone cared enough to bring life and color into a stone and stucco environment. Even a small bird house was attached to the wall with a little bird perched on it. It was all very captivating. Before long I had found the Quirinal Palace, known also as the Presidential Palace, elegantly placed on the highest of the seven hills of Rome. Pope Gregory XIII had it built as a summer residence for the papacy in 1573. After the unification of Italy in 1870 it became the royal residence and later the Presidents palace. 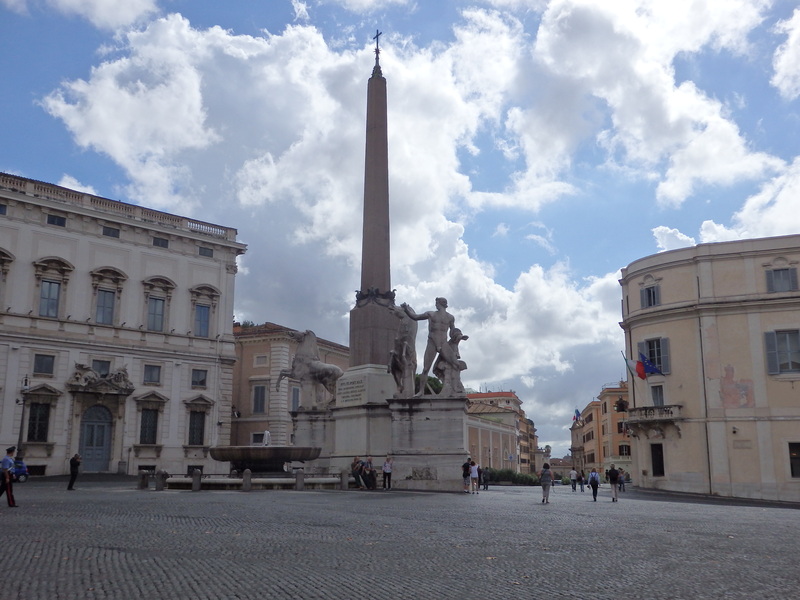 In the middle of the Piazza del Quirinale is an ancient obelisk next to the Dioscuri fountain. Nearby are 18 foot sculptures of Castor and Pollux, Roman replicas of the Greek originals from the fifth century BC. Rocking Sculpture of Castor and Pollux. Pollux stands unseen on the right side. 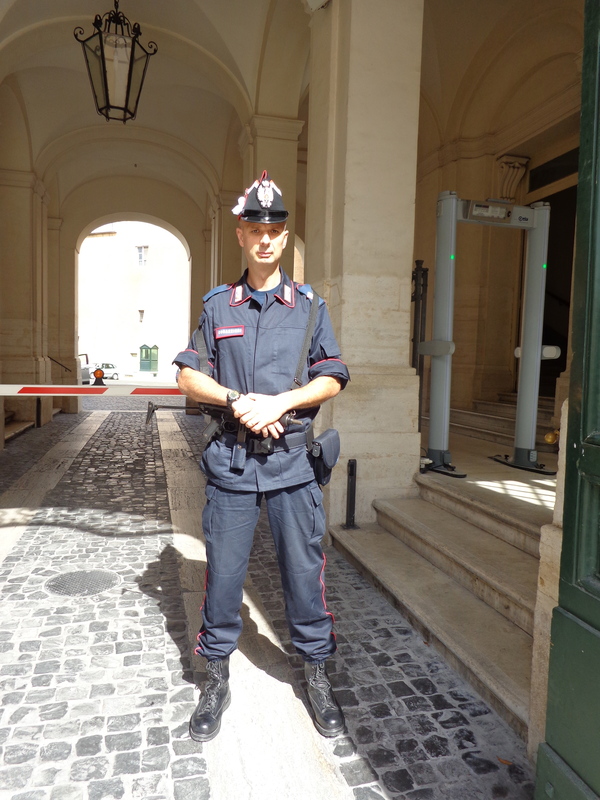 This palace guard was very serious but a good sport when I asked to take his photo. The guards are very watchful and appear to be quite aware of their surroundings. Roman skies peak between tall elegant buildings toward the end of my meanderings. My afternoon had been greatly enriched and I was ready to get back into the mainstream. Rome, I discovered, has many faces, more than I had previously thought. A verse written by Mark Twain came to mind just then. I challenged it…. What did I discover? Many things, wonderful things, all of it ready to share their wonderful stories if one just stops to listen. ← The Dawning of a New Year–Thank You Everyone! Really enjoyed your blog, congrats! Thank you so much Federico! Your writing is beautiful. 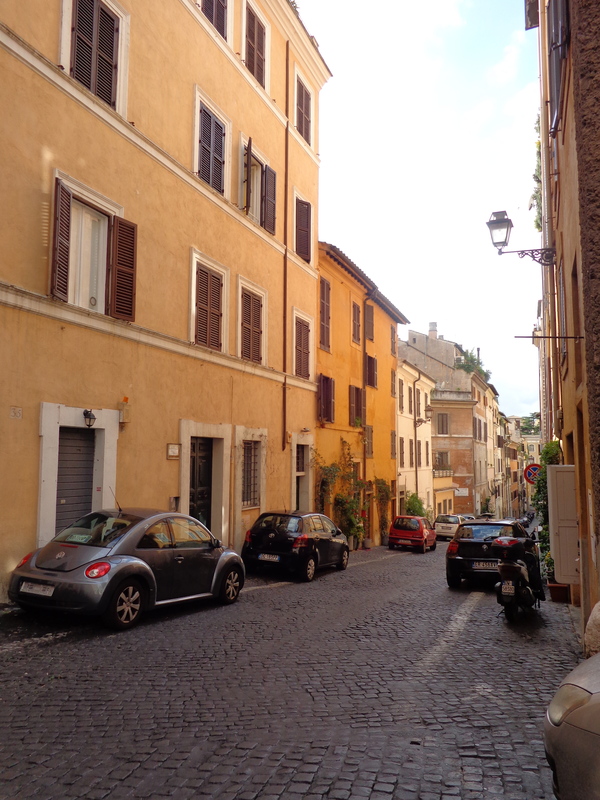 Rome is very special to me and you’ve captured its flavor around every corner. I’m a writer and I appreciate good prose. Well done! Michelle, thank you so much! I too have a deep passion for Rome so it is easy to write about. Thank you for your kind words and encouragement. It means the world to me…. Your writing is beautiful. 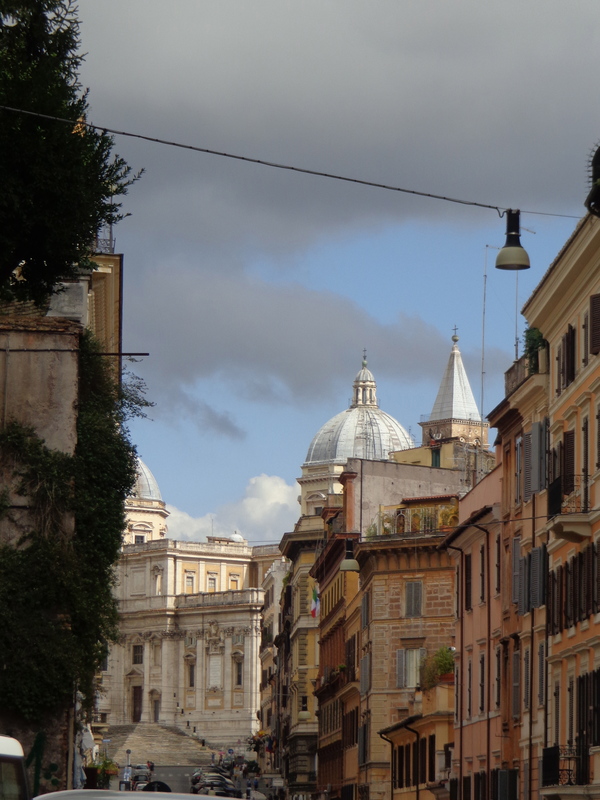 Rome is very special to me and you captured its flavor around every corner. I’m a writer and I appreciate good prose. I’m a bit late in commenting having been stuck out of town without a computer to use, but as usual a great post with some new and some familiar sights/sites! You’ve captured beautiful images of a beautiful city! Thank you, Mike, for your kind words. I would love to be there again….lucky YOU! Glad you found the article helpful…now, I would love to see your photos and take on the backstreets of the eternal city! Enjoy your stay!! Urgh! You made me miss Italy instantly! Yes, as much as I love the landmarks, the crowd and the authentic feel in Italy, I do love getting ‘lost’ around the backstreets of actually any Italian city. I can definitely do just that the entire day. Yes, I know what you mean. 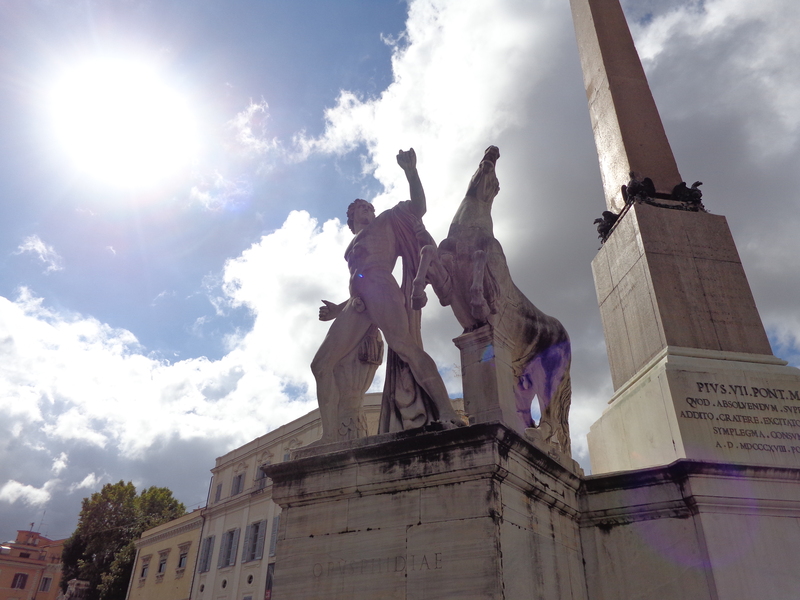 I was aching for Rome while writing this article! 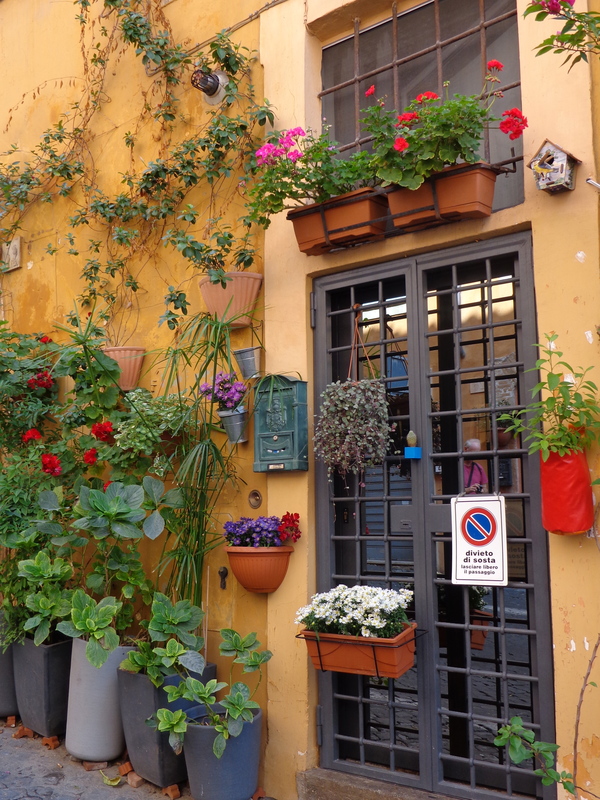 I agree with you, ANY Italian city is a gift just waiting to be unwrapped…and it never gets entirely unwrapped! Thank you for your comment…. Lovely, thanks for sharing. Rome, and other Italian cities, are on my bucket list, my seemingly endless bucket list. Thank you for the virtual tour and the lovely pictures. One day I hope to see them myself. I hope that you do as well…thank you for your kind words! Hi Lyn, have a wonderful time. Keep that camera ready! Hate seeing those iron bars on the residential buildings – even on the first floor. Yes, I agree….iron bars are never a pleasant sight.